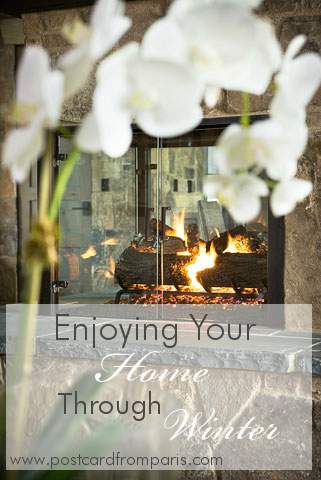 Here are a few simple ways to enjoy being inside your home over these next few cold months. Keep some holiday decorations as transition pieces. Your traditional holiday decorations, like those red and green ornaments, need to be put back in the attic, but there are many holiday decorations that work well as winter decor. Paper whites, frosted wreaths and mercury glass are all beautiful items that can work all throughout winter. Mix a few of these items among your regular decor pieces to add some seasonal decor. Add pops of color. Winter tends to consist of a lot of gray and dreary days, but your home doesn't have to feel the same way. 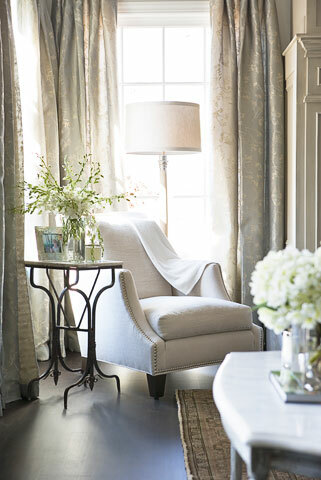 Add pops of color throughout your home to bring some life and warmth to your spaces. Whether it's a colorful decorative pillow, candlestick or throw, color is a great way to improve your overall mood. 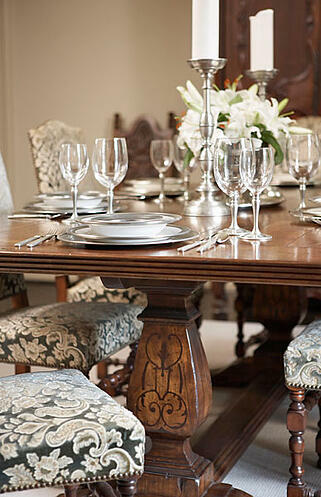 Maintain a beautiful tablescape. Your guests may be gone and your dinner parties over, but that doesn't mean your tables have to be completely stripped and bare. Keep your tables looking pretty over the next few months with a wintry tablescape full of candles and white flowers and your favorite dinnerware pieces. Stock up on baking supplies. With more time being spent indoors, it's good to have activities that can be done on the fly in your home with minimal planning. Stock up on your basic baking necessities like flour, sugar, butter and eggs to create your favorite treats or maybe even try a new recipe. Get your children involved in the baking as well to create a fun winter-time memory. When the holidays are over, what's one thing you do to keep your home feeling warm and cheery during winter? While you are ready to enjoy your home over these next few bitter months, our homes themselves might not be ready for the approaching harsh weather. Download this list of helpful tips for how you can prepare your home for winter.